cardiovascular and cerebrovascular diseases, sequelae of cerebral hemorrhage, sequelae of cerebral thrombosis, transient cerebral ischemia, vertigo, hypertension, hyperlipidemia, blood hyperviscosity, coronary heart disease, arrhythmia, rheumatic heart disease, pulmonary heart disease, myocarditis, senile degenerative heart valve disease, gastrointestinal disease, immune system disorders, vegetative nerve functional disturbance. Graduated from Dalian Medical University, Tao Enyou, the former director of Emergency Department of Dalian Hosptial of Traditional Chinese Medicine, has been engaged in clinical teaching and working for more than 40 years. 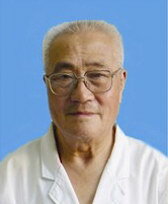 He is listed in Famous Doctors of Liaoning Province and Who'S Who OF China Contemporary Medicine. In 1998, Mr. Tao was awarded The Medical Elite of China and he is very popular among Russian patients.